In August 2003 Alistair Campbell, Tony Blair’s Director of Communications, resigned. For some months he had been at the centre of allegations that the intelligence dossier that created much of the case for the invasion of Iraq in March that year had been doctored. Whether or not this was the case, the reality was that this debate had made Alistair Campbell ‘the story’. In other words, the person whose job was to present the Government’s news agenda had himself become the subject of that news agenda. As a result, he could no longer effectively perform his role as Director of Communications. I feel the same way about marketing. Good marketing should present the story that the brand or business needs to communicate without ever being the story itself. In a way, good marketing should be invisible. Sure, there may well be occasions when marketing activity hits the headlines, because of a particularly powerful Christmas ad or newsworthy brand activation. But by and large it’s the brand and business that should be famous not its marketing. And let’s face it a business that is only famous for its marketing is on a very slippery slope indeed. Which brings us to the rather sorry tale of Mahabis. You won’t need any introduction to Mahabis if you have shown anything more than a cursory interest in the premium slipper brand since they will have stalked you relentlessly to the furthest corners of the internet plying their wares. If you have no idea what this brand is or does I beg you, for your own sanity, not to try and find out as, if they start trading again, they will surely come for you. On the 27th December, while you and I were enjoying the open arms of our families, Mahabis slipped into the open arms of the administrator. 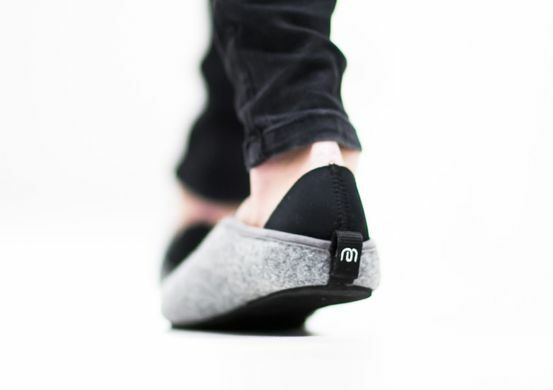 Just four years after its creation and having reportedly sold a million pairs of slippers, Mahabis ceased trading. The cause of the failure of this Direct to Customer (DtoC) posterchild is unclear at present. Common sense, of course, suggests that growth at the rate Mahabis experienced (from sales of £1.5m in the first year to sales of £20m in year three) is likely to create immense strains on any business, especially those selling a physical product. But when the story of Mahabis is finally written a considerable chapter must be devoted to it marketing. Not just the vast sums that most DtoC brands need to create physical availability if they have no natural footfall, but to the reputational damage that Mahabi’s marketing did to the brand and business. Because, whether the product was good, bad or indifferent the reality is that marketing and a very specific form of marketing was what Mahabis was famous, or rather infamous, for. Indeed, the view of Twitter appears to be that being subjected to their marketing machine was akin to being mugged. This episode would be irrelevant, a mere cautionary tale, if it were not that Mahabis was simply following a playbook that is now well established in the DtoC world and is seen as the secret to scaling a business of this nature by those that fund them. Good, perhaps even great products and brands are compromised by an approach to marketing that is phenomenally aggressive. An approach that isn’t limited to following you round the internet but in the case of many subscription businesses seems often to involve people turning up at your door to hammer the point home. Far be from me to raise concern at a healthy belief in the power of marketing and the money to back up that belief. But an approach to demand generation that is obsessed with one metric alone, the cost of acquisition, at the expense of anything else, from customer experience and satisfaction to repeat sales and long-term brand reputation is a caricature of marketing not the secret to a sustainable business. It’s like someone read the first chapter of ‘my first book on marketing’ and got bored so didn’t bother with the rest. As marketers we need to take a holistic view of our activity. To factor in the effect of what we do on everyone our communications reach, even if they have no interest in ever buying our products, and every year of the brand’s life, even though we can’t yet understand the nature of that return. To ignore this, risks adopting a form of marketing generates very real animosity amongst consumers with very real commercial consequences. A form of marketing the ends up being the brand’s story rather than telling it. Mahabis was subsequently rescued from adminisration in mid-January 2019 by the people behind the direct to consumer matress brand, Simba.